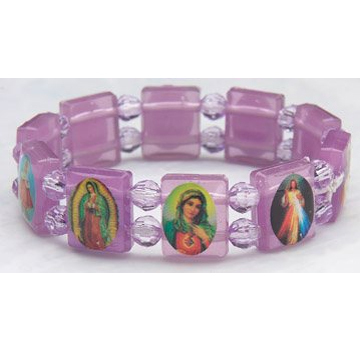 Popular elasticized purple bracelet with multiple religious images in plastic. Sold per dozen, contact us for quantity discounts. All items are F.O.B. factory. Prices are subject to revision without notice, please contact us to confirm current.